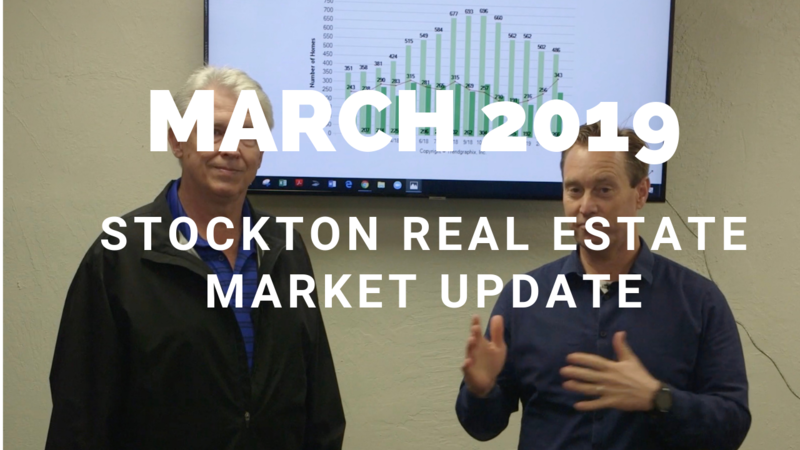 The number of newly listed homes for sale in Stockton CA fell in March. There was as light drop to 482 newly listed homes. The trend that really jumped out the most last month were the number of home that went pending, or under contract. 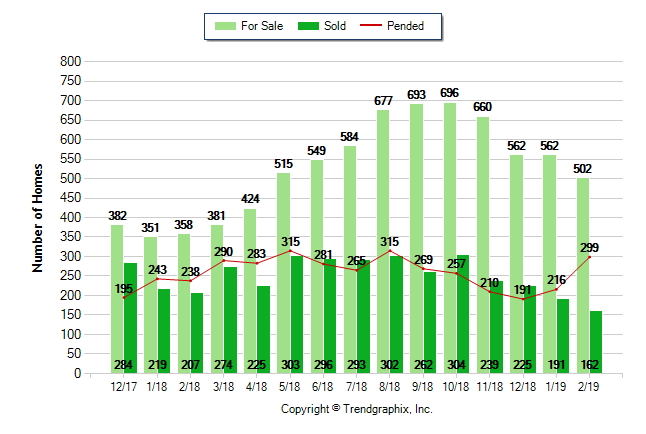 343 Homes went pending in March, which is quite a spike vs the previous month of 256 homes. 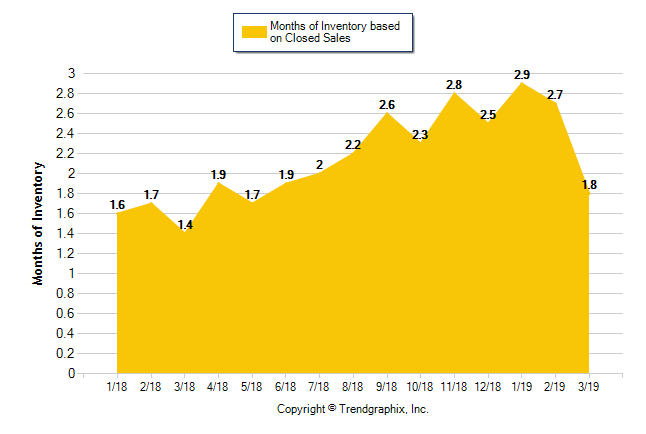 Given the large amount of home that went pending and the lack of number of homes that went on the market, the amount of inventory DECREASED. Inventory decreased to 1.8 months on homes for sale in Stockton, favoring a sellers market again. 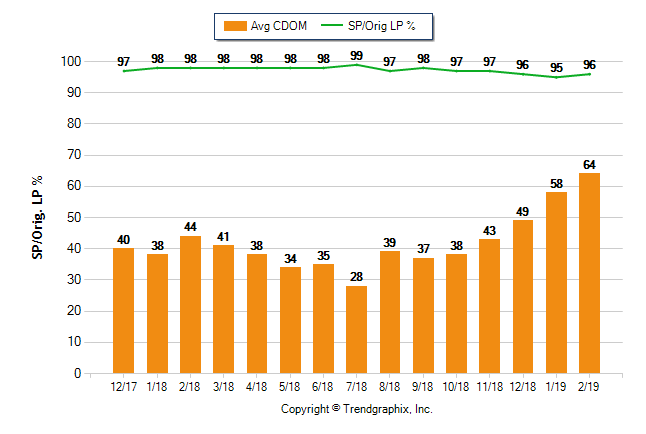 The days on market trend in declining. The days on market represents ALL homes for sale in Stockton. Currently, the amount of days it takes on average for a home to go pending is 50. This number is different in various price points of the market. 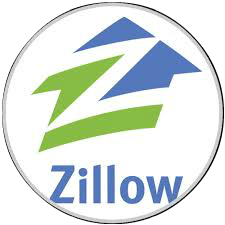 For example, homes priced above $400,0000 take on average 63 days to go pending. Whereas homes under $300,000 take less at 50 days. If you are looking for more information about your specific homes value or the area you live, don't hesitate to reach out to David McKeever. Call or text 209.483.6523. 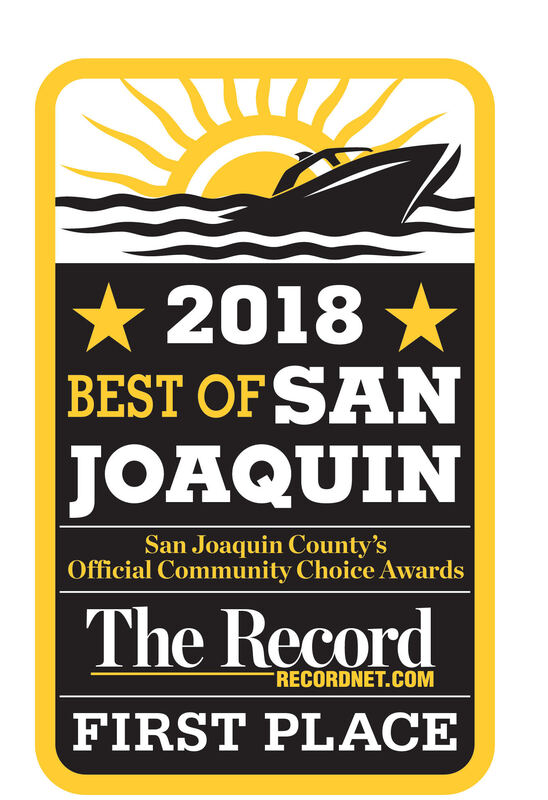 David was named Best Realtor in the Best of San Joaquin Award in 2017 and 2018. 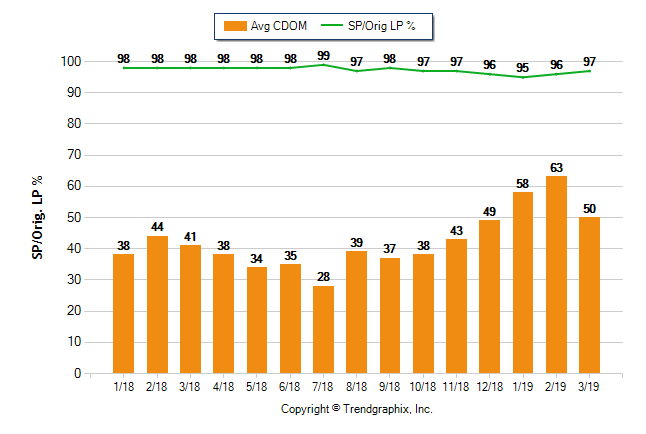 The activity of the February 2019 Stockton Housing market was positive sign versus the lackluster months of December and January. The BIG takeaway from February's Stockton housing trends was the spike in the amount of pending home sales. 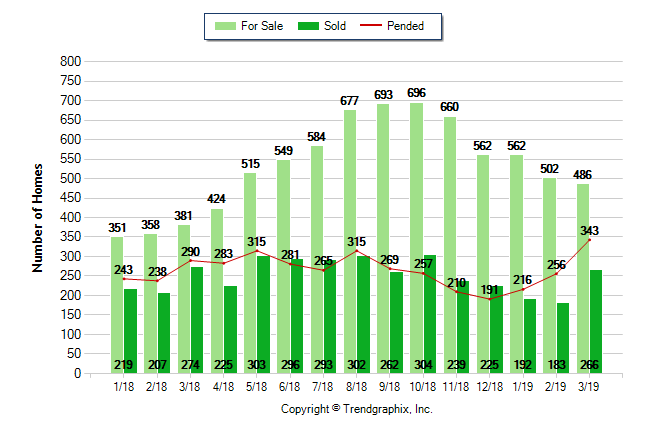 Pending homes sale spike to 299 vs just 216 the month before. 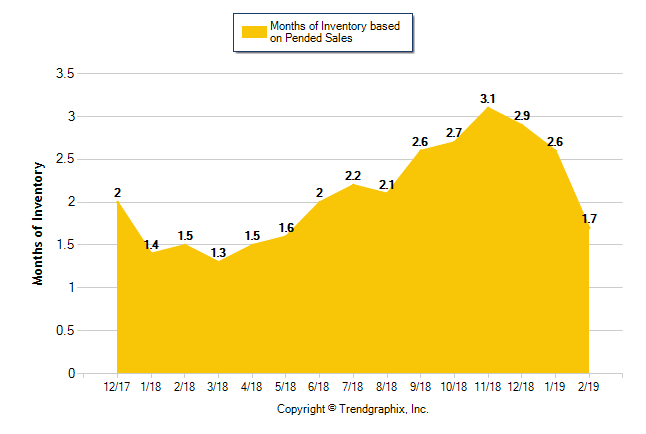 The the lower amount of new listings and the spike in pending sales, Stockton's Month of inventory fell sharply again down to 1.7 months. This indicator creates a sellers market once again, a reversal of the trend we have been seeing over the past months of 2018. The sale price to list price ratio in Stockton CA maintained its good ratio at 96%. While the days on market increase yet again. The increased days on market could be due to the winter months slow down. 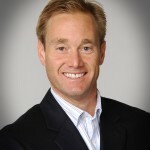 David McKeever, Stockton Ca real estate broker, chats with mortgage lender, Kathyrn Vatsula with Loan Depot, about recent interest rate changes and her take on the 2019 outlook. David and Kathyrn met to discuss the current mortgage market in February of 2019. AMong the topics of discussion were. What are the best rates for home-buyers with excellent credit? Where do you see rates going in 2019? What are rates for people using Down payment assitance programs? What are current mortgage rates for real estate investors? Watch the video below and get the answers to those questions.